Kamil Wais Ph.D. — Data Scientist and R & Shiny Developer, specializing in developing web data products and new research techniques & tools based on Internet technologies and Open Data. Previously, Research Product Manager in MillwardBrown Poland (one of the largest global institutes of market and opinion research), Assistant Professor in Department of Quantitative and Qualitative Methods at University of Information Technology and Management in Rzeszow, Poland. In 2017, short-term visiting Assistant Professor at Center for Social Research & Center for Research Computing at the University of Notre Dame (Indiana, USA). 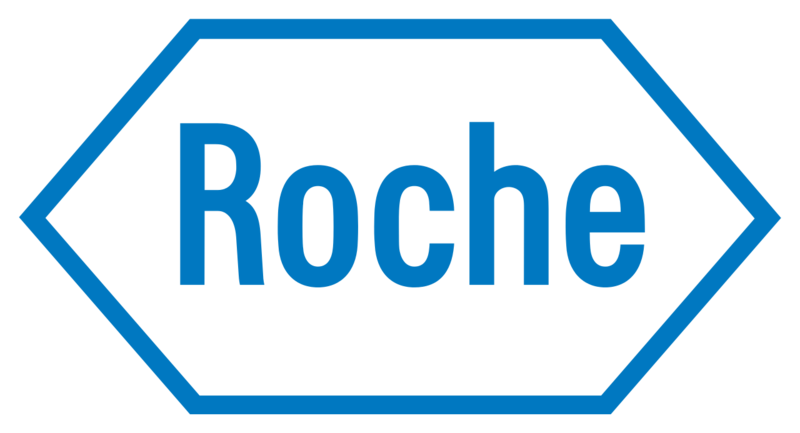 Currently, working as external R & Shiny Developer for F. Hoffmann-La Roche — the world’s largest biotech company. [changed] Major updates to Checklist for R package submission to CRAN post. [added] New software project ShinyEventLogger. 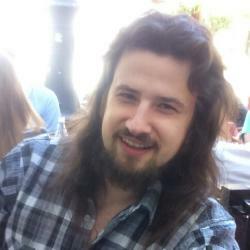 [added] Docker workshop in Warsaw. [changed] Hugo ver. 0.53. Academic ver. 3.3.1. [added] Post about BigSurv18 in Barcelona. [added] Talk at the BigSurv18 Conference in Barcelona. [added] Section with selected on-line & off-line courses. [changed] Old news section to Changelog section. Developing advanced analytical tools and web data products in R.
Visiting Assistant Professor at the Center for Social Science and Center for Research Computing. Preparing proposal abstract for Intelligence Advanced Research Projects Activity (IARPA) grant. Providing talks about developing web data products in R&Shiny for software developers from Center for Research Computing and the role of instant feedback at Data Science for Social Good conference in Chicago. Department of Quantitative and Qualitative Methods in Economics. Representative of the Vice-Rector for the Science. 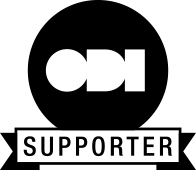 Supporting existing on-line research products (CAWI, access panel) and designing new research products based on Internet technologies. Olesia Iefremova, Kamil Wais, Marcin Kozak (2018). Biographical articles in scientific literature: analysis of articles indexed in Web of Science. Scientometrics. PDF Project DOI Lista A: 35pkt. Andrzej Cwynar, Wiktor Cwynar, Kamil Wais (2018). Debt Literacy and Debt Literacy Self‐Assessment: The Case of Poland. The Journal of Consumer Affairs. Kamil Wais, Olesia Iefremova (2017). Determinants of willingness to study in Poland among members of Polish Diaspora. International Journal of Educational Development. Joanna Mazur, Agnieszka Małkowska-Szkutnik, Izabela Tabak, Anna Dzielska, Dorota Zawadzka, Anna Kowalewska, Hanna Nałęcz, Dorota Kleszczewska, Magdalena Stalmach, Anna Oblacińska, Kamil Wais, Marta Malinowska-Cieślik, Krzysztof Wąż, Barbara Woynarowska (2017). Środowisko fizyczne i społeczne oraz jakość funkcjonowania szkoły a zdrowie subiektywne i zachowania zdrowotne nastolatków. Raport końcowy z realizacji projektu badawczego. Instytut Matki i Dziecka, Warszawa 2017. Andrzej Cwynar, Wiktor Cwynar, Kamil Wais, Radosław Parda (2017). Personal Loan Companies in Poland: Does Empirical Evidence Justify Regulatory Transition?. Prague Economic Papers 2017. Joanna Mazur, Anna Kowalewska, Dorota Zawadzka, Anna Dzielska, Kamil Wais (2016). External evaluation of the school and academic achievements in relation to alcohol drinking and delinquent behaviour among secondary school students / Wyniki zewnętrznej ewaluacji szkoły i osiągnięcia w nauce a picie alkoholu i wykroczenia gimnazjalistów. Alkoholizm i Narkomania 2016. Kamil Wais (2016). Gender Prediction Methods based on First Names with genderizeR. In The R Journal. PDF Code Project WWW CRAN Lista A: 30pkt. Andrzej Cwynar, Wiktor Cwynar, Kamil Wais, Radosław Parda (2016). Loan perception and loan-related attitude of Poles: evidence from the field. Forum Scientiae Oeconomia Volume 4 (2016), No. 2. Krzysztof Opolski, Agata Gemzik-Salwach, Marcin Dwórznik, Monika Podleśna, Kamil Wais, Piotr Zapadka (2015). Sektor shadow banking w Polsce. Wydawnictwo CeDeWu. Kamil Wais (2013). Access Panel and its specificity as a challange for new research techniques based on internet technologies / Access Panel i jego specyfika jako wyzwanie nowych technik badawczych opartych na technologiach internetowych. Przegląd Socjologiczny, Tom LXII/1, Łódź 2013. Barriers & bad practices in accessing Open Data. Case study of Poland. Projekt badawczy poświęcony Polonii i Polakom poza granicami kraju. Workshop in Warsaw by Łukasz Lach (Docker Captain, Software Architect). 294,294 XP earned, 3,715 exercises aced since 2014. Short course during BigSurv18: Big Data Meets Survey Science conference in Barcelona. Workshop during European R User Conference in Budapest. Worhshop for Academic Researchers by Robert Porter, former Director of Research Development at the University of Tennessee, awarded over $8 million in funding. Workshop during Data Science for Social Good conference in Chicago. Lecture by Hadley Wickham, Chief Data Scientist in RStudio. Course by William Rand, Assistant Professor of Business Management at the Poole College of Management at North Carolina State University, member of the NetLogo development team. Workshop during European R User Meeting in Poznań. Course by Rafa Irizarry, Professor of Biostatistics Harvard School of Public Health. Course by Jeroen van den Hoven (The Chairman of European Commission’s Expert Group on Responsible Innovation, Professor of Delft University of Technology). Course by Trevor Hastie (the John A Overdeck Professor of Statistics at Stanford University) and Robert Tibshirani (Professor in the Departments Health Research and Policy and Statistics at Stanford University). Course by Dr. Harald Sack, Senior Researcher at the Hasso Plattner Institute for IT-Systems Engineering at the University of Postdam, Germany. Course grade: 87% (part of the top 20% active course participants). Software Processes and Agile Practices. Client Needs and Software Requirements. Course by Matthew O. Jackson, Professor of Economics at Stanford University. Course by JPAL MIT Team (Abdul Latif Jameel Poverty Action Lab of Massachusetts Institute of Technology). Course by Andrew Ng (Director of the Stanford Artificial Intelligence Lab, Professor of Stanford University). ALEKS Corporation on-line courses accredited by American Council on Education: Business Statistics, Statistics for the Behavioral Science, Introduction to Statistics. Workshop for instructors of Research and Analysis Department of Polish Scouting and Guiding Associations Headquarters conducted by Piotr Kwiatkowski - the chairman of TNS board in Poland and expert in qualitative research. Two-week training organized by School of Leaders Association founded by Zbigniew Pełczyński, Professor at the Oxford University.